We've released our first album! After years of hard work and many attempts, we're finally able to say - We, Cassidy's Brewery, have released our first album! 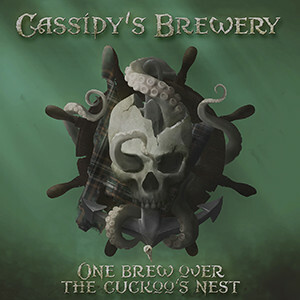 "One Brew Over the Cuckoo's Nest" contains 5 of our original songs along with 5 traditionals punked up and infused with distortion. You can listen to it on most streaming services including Deezer, Spotify, Google Play Music, Soundcloud, Bandcamp, Youtube and many more. Don't forget to like us and subscribe on your favorite service! Copyright © 2018 Cassidy's Brewery.